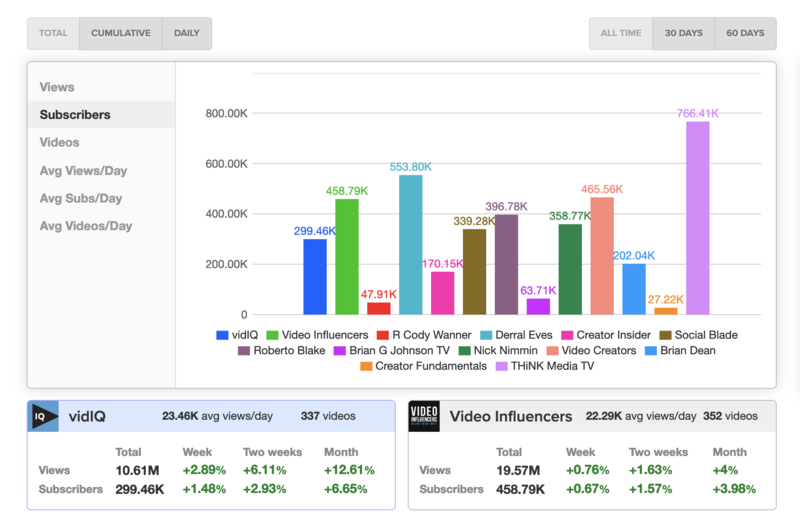 The vidIQ Competitors Tool confirms your YouTube competitors and helps you discover what content is working for them and why. 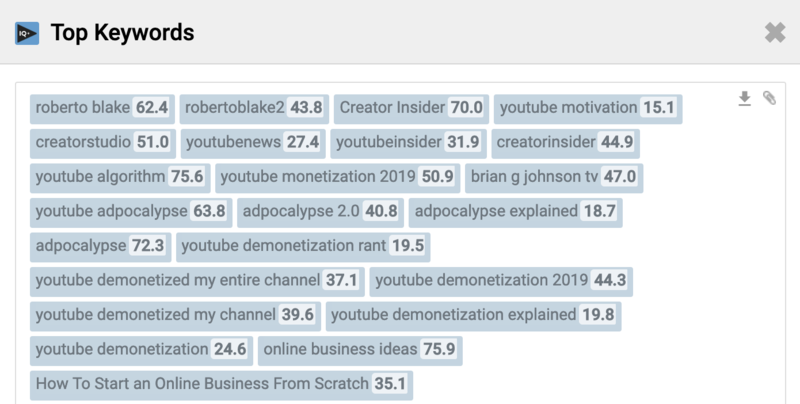 A competitor is someone publishing content to YouTube in the same topic space as you, so having that kind of data handy is incredibly useful in understanding what might work for you, or what you can improve. To see how your competitors are doing based on their Views Per Hour, open up the vidIQ button on your browser, then click on ‘Competition.’ The new tab will compare your Channel with any other Channel on YouTube! 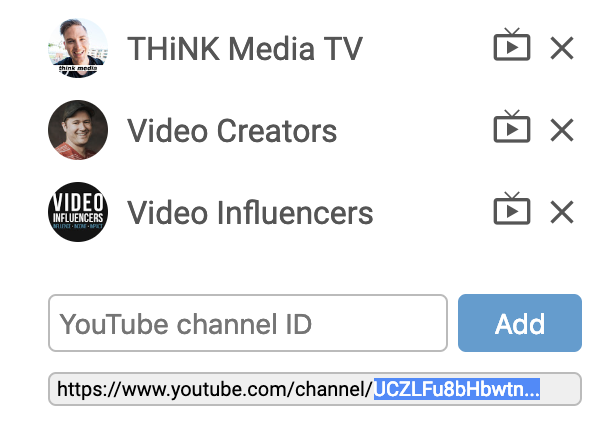 To add a competitor just copy and paste their channel ID to the “Add” box. You can sort your YouTube competitors by time frames, views per hour, views, and date uploaded! You can slice and dice the data to get a massive amount of information to feed into your own content strategy. Want to see which top keywords are being used by your competitors simply click the “Top Keywords” button and a popup will allow you to view or download. Win! You can see your competitors information and top videos everywhere including the chrome extension and the web app.